Budgets are barely budging, staffing is scarce, and there’s a growing arsenal of tools & techniques to be tinkered with. I surveyed the nonprofit marketing communications scene to find out which strategies, tactics, and activities worked—and which didn’t—this past year. How did your efforts stack up? Facebook’s value as a communication tool is hard to deny, with many NPOs utilizing this free social media tool with success. We have more people not just liking us, but engaging with our posts. It has been wonderful to publicize events as they occur in real time and we have gained the attention of new people. We’re pleased with Facebook…it’s helping raise our profile among other organizations we’ve “liked”, and gives us an opportunity to share some great nature photography (and gain more likes) so we’ll definitely continue using it. But others are moving beyond pages & posts to engage audiences in other ways, such as using Facebook’s paid advertising services. We were able to do some simple advertising that takes advantage of existing personal relationships and triple our number of fans pretty quickly… So-and-so likes us, and when we see popular posts, we opt for spending the $5-$10 to promote the post. Electronic communication in the form of email remains one of the most popular tools at an organization’s disposal, allowing for frequent and consistent contact with clients and other stakeholders. Even though they can use some work, I still think e-news gets our message to the most people. Email continues to be the top driver of website traffic and event ticket sales. Our email newsletter is great to get out a mix of time-sensitive info and some interesting links and resources. Email campaigns—published & distributed via professional email marketing tools like EmailNow, Constant Contact, and MailChimp— can take several forms, from e-newsletters – which inform and educate – to more singular topics, such as those focusing on fundraising, advocacy, and events. Having proven their worth, NPOs also spent time this past year improving their email lists by building and segmenting them. Despite the high cost of production and postage, printed forms of communications remain the best way for many nonprofits to reach their constituents— in the form of newsletters, annual reports, postcards, one-pagers, brochures, direct mail, and more. We get a lot of anecdotal feedback on our newsletter: “I read the newsletter cover to cover” – which tells us our strongest supporters appreciate the effort we make to communicate in print. This year is our 25th Anniversary, and we went way above and beyond our usual Annual Report format. The end result is that we have a commemorative piece, which is a good tool for promoting ourselves to new partners/donors/funders. Direct mail is hands-down the best communications tool for us. We are able to tell our story to our stakeholders in a way that they respond to— getting a nice letter in the mail is the channel these people know. Nearly every organization has one, and in 2012, not surprisingly, most considered it their most important important communication tool. Feeding your website frequently with fresh content—with blogging and video uploads—is an ongoing, year-round activity, enjoyed by almost all. 2012 was also a time to modernize websites, with many organizations performing much-needed updates. One of the most popular tweaks included social media integration. Our site has a new section called Tomorrow Lab for Humanity which uses personal video dedications to encourage online giving, and is closely linked to Facebook and Twitter. This past year, some groups started planning for—or completed—a site overhaul. We’re redeveloping our website (after 12 years!) with a focus on mobile-first design and web-enabled mapping— – since our mission is historic preservation and we want people to go out and see historic places firsthand. We won a new website through The Nerdery Overnight Website Challenge. Key features: WordPress based, incorporates event registration (Eventbrite API) and our Twitter feed, is nicely organized, and beautiful. While certainly not new, many organizations used 2012 as a time to give these social media platforms a spin. The result? Cautious optimism. We’re using Twitter to join conversations we otherwise wouldn’t have been a part of. We’re still refining its use but have gotten a good deal out of it. I’ll continue to use [our Pinterest board] as an easy place to curate content. 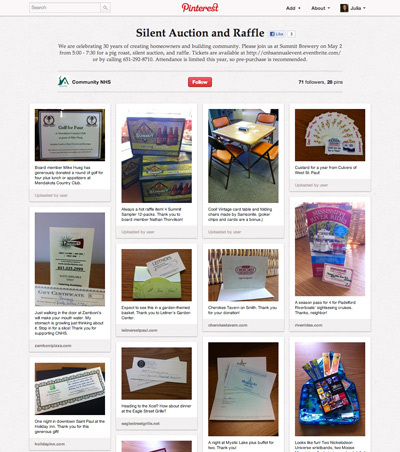 My most successful uses were displaying silent auction donations (linking to donor websites) and curating costume ideas for a Halloween-themed 5K our organization sponsors. We use press releases to announce milestones and great successes. We use Square to electronically accept donations at events. Formstack—a drag-and-drop online form builder that allows you to collect and manage data. We’ve seen great results with the Formstack tools. People seem to be more likely to volunteer or come by [the facility] when they can request a tour online. All these tools, tactics and techniques can be eye-opening, yet paralyzing. Can you relate? It’s becoming rather overwhelming to manage! 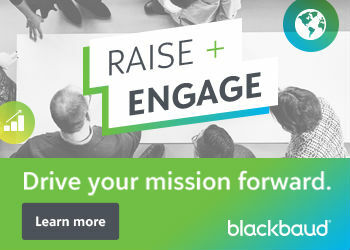 A growing realization within the nonprofit community is that no single organization or marketing team can successfully play with every conceivable tool out there. “There are way too many options and channels. People are thinking strategically about which are the right ones for them, and not feeling as guilty if they can’t do it all,” observes Kivi Leroux-Miller, president of Nonprofit Marketing Guide.com and the author of “The Nonprofit Marketing Guide: High-Impact, Low-Cost Ways to Build Support for Your Good Cause”. Before we even start writing content or think about communication channels we need to make a list of keywords that put us in the shoes of our customers—make a list of words that summarize what we want them to DO, THINK and FEEL about our organization. Then we build everything around that, measuring and adjusting as we go. Finally, at the same time, nonprofits communicators report that their best forms of communication rely on high-tech tools and apps only as used in conjunction with these decidedly low-tech approaches: in-person meetings, individual phone calls, and word-of-mouth. Nothing replaces face to face. Our best partners are developed in personal conversations. Did you have similar results this past year? How did your efforts compare? Please share your favorite trends and anecdotes. Many thanks to the nonprofit marketers who took my survey on 2012 nonprofit marketing communications trends. Julia Reich is a branding consultant for nonprofits, strategist, speaker, designer and writer. She helps nonprofit organizations gain visibility and support by developing an authentic brand. And she's going to talk about branding, marketing and design for nonprofits every chance she gets because she loves it!